Find local support groups and/or post your groups here. Anyone interested in an ATLANTA, GA area caregiver/family grief support group? DFW - Texas Support groups Sept - Nov 6. Does your parent have lung cancer? 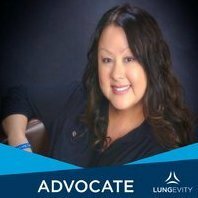 Are you a caregiver (Spouse) of someone with LC? Are you a parent of an adult child with LC?